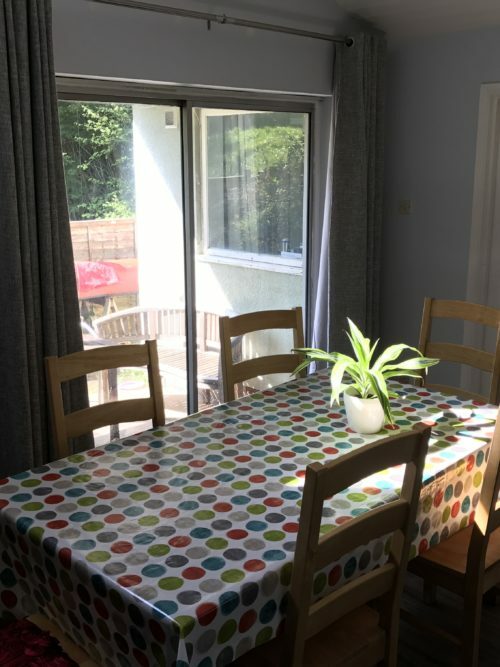 Hamelin is a spacious split-level bungalow sitting at the top of a private tree lined drive in its own gardens and located in pleasant suburban Totnes. It is situated on the high ground adjacent to the castle, just a short walk from the shops and enjoys a secluded position in a quiet area. 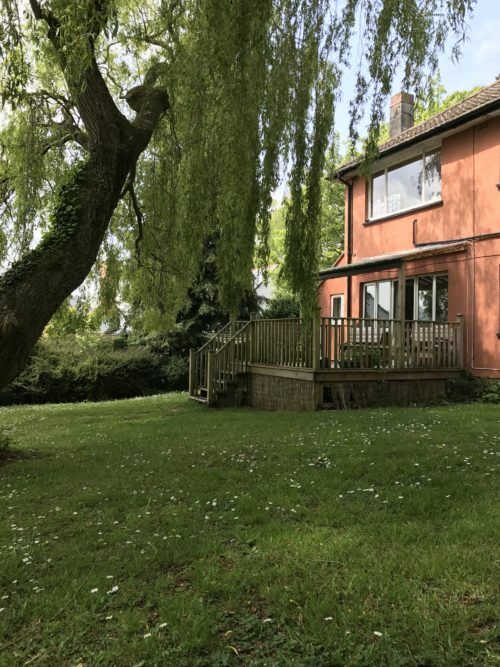 The garden and tree lined boundaries which surrounded the house on all sides give a very pleasing outlook and all windows access garden or patio views which are enhanced by the natural slope of the land and the subsequent views across rural Devon. Hamelin Benefits from two large communal rooms in the form of a large living room, which has a flat screen television and comfortable leather sofas. 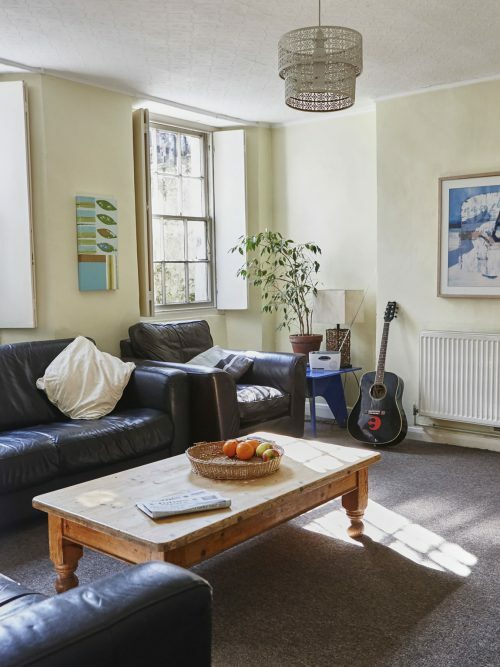 In the corner of the living room a door leads into the annex where the second large room is a natural resource for group activities, which include art and music, there is a piano and various other musical instruments available. There are seven bedrooms for service users at Hamelin with two of them being en-suite. There are also three staff bedrooms, an office and a medication room. The house is large, yet all areas within easy reach. It is modern, well founded and airy, providing cool respite in summer, yet heated and cosy in winter. 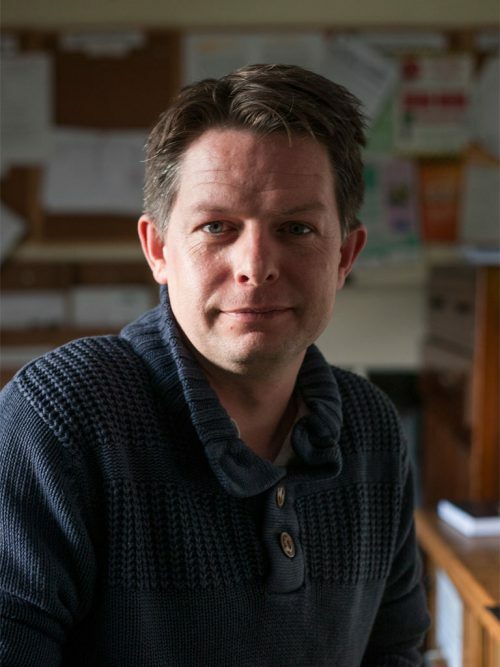 Hamelin is managed by Clint Hollinson who has worked with our organisation for 5 Years. Like most of our managers Clint has worked his way up through the organisation. So as well as having a wealth of knowledge and experience in supporting people to achieve their potential, he truly understands the Community’s Ethos and aims. I like living here. The staff are friendly. Quote from Community Resident in Hamelin’s CQC inspection report May 2016.